BEIJING, Dec. 12 (Xinhua) -- An agreement on mutual exemption of visas between China and Qatar will take effect from Dec. 21, the two countries announced Wednesday in Beijing. 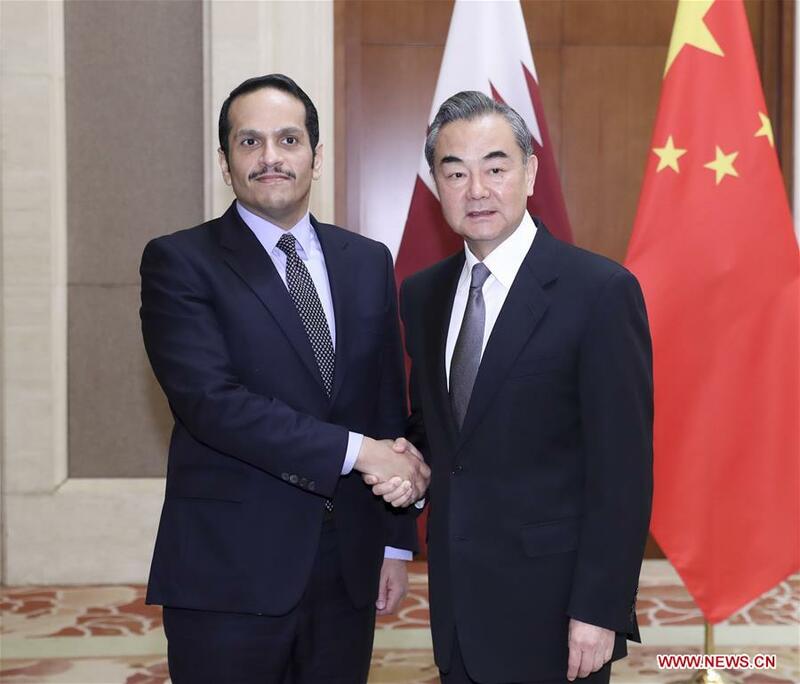 The announcement came as State Councilor and Foreign Minister Wang Yi and Sheikh Mohammed bin Abdulrahman Al Thani, deputy prime minister and minister of foreign affairs of Qatar, co-chaired the first meeting of a China-Qatar inter-governmental strategic dialogue mechanism in Beijing. The two sides hope to take this opportunity to bolster cooperation in tourism and expand people-to-people exchanges. This year marks the 30th anniversary of the establishment of diplomatic relations between China and Qatar. Wang said it is of great importance to initiate an inter-governmental strategic dialogue mechanism between the two countries. "China stands ready to work with Qatar to push bilateral ties towards another 30 years of faster development," said Wang. He proposed the two sides use the opportunity of jointly pursuing the Belt and Road Initiative to synergize their development strategies and carry out win-win cooperation in in fields including energy, high and new technology, investment, finance. Wang also introduced the measures taken and results achieved by Xinjiang Uygur Autonomous Region in combating violence, terrorism and extremism. While calling terrorism a common threat to humanity, Mohammed said Qatar supports the measures taken by China in safeguarding national security and stability, and stands ready to strengthen cooperation in security and anti-terrorism.